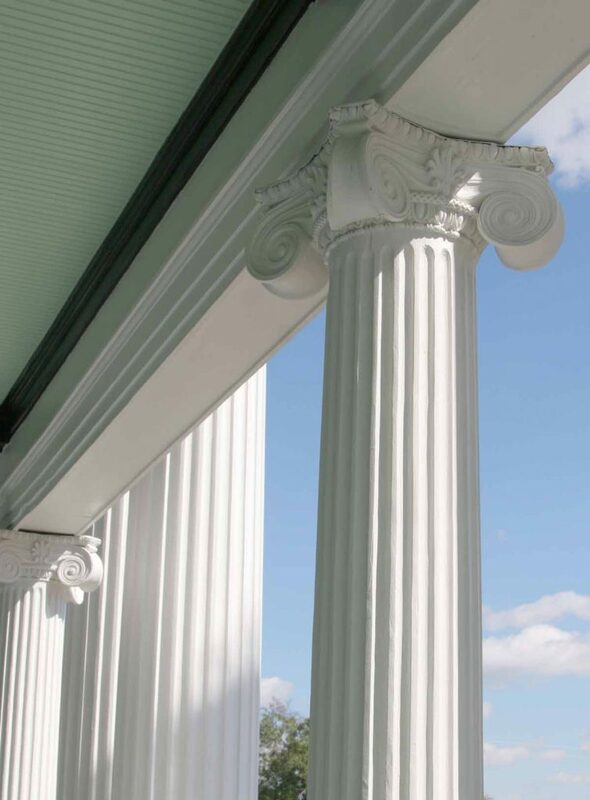 The museum, built in 1905-06, features symmetrical dimensions on the front porch, which are typical of colonial revival design. The home's double-entry, central doorway is another feature of colonial revival design. 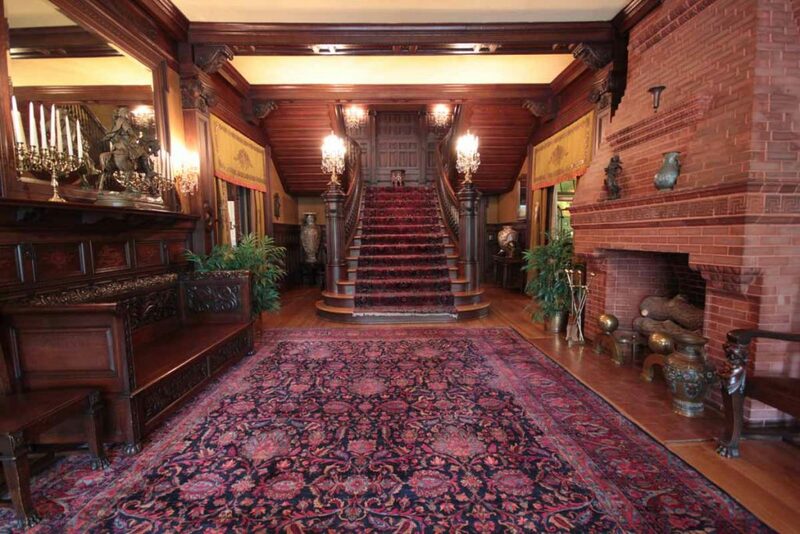 This entrance hall connects all the public rooms of the home and was designed to impress: with a large Renaissance revival fireplace, a double-return stairway, and elegant furnishings. 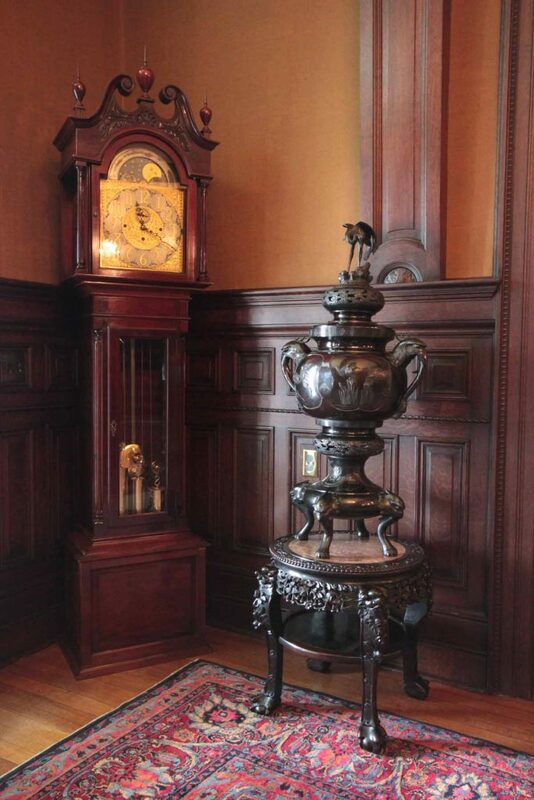 This censer, located on the entrance hall's taboret table, dates to 1900 and reflects Americans' fascination with far-away lands. Tall case clocks were popular colonial revival furnishings. This one, which is mahogany, dates to 1890-1900. 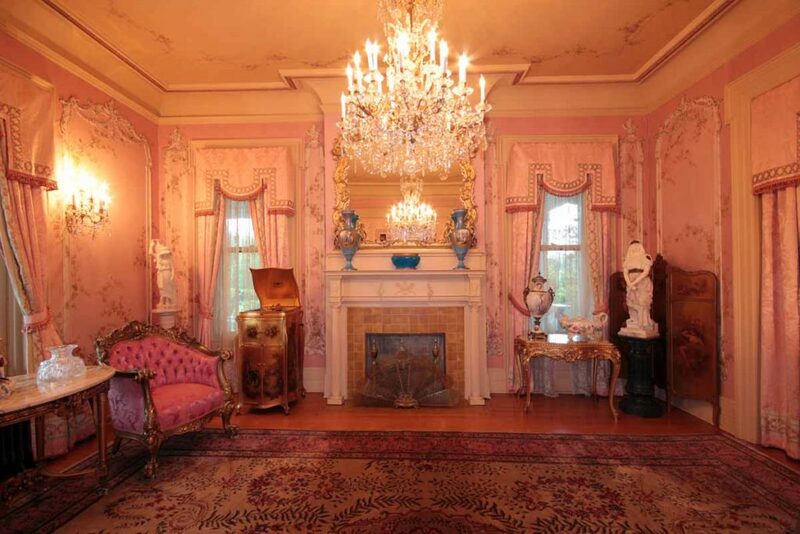 The French-style parlor, with its glamorous decor and atmosphere of refinement, was used for entertaining and receiving special guests. 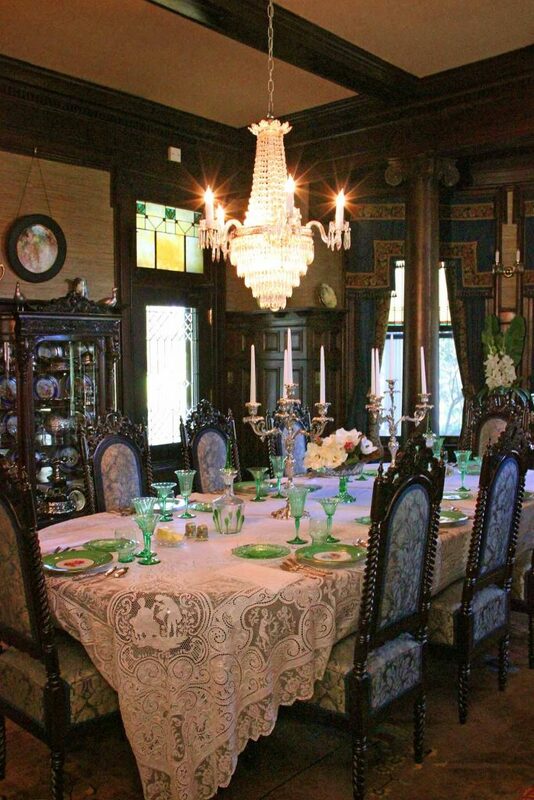 The dining room was the site for many formal dinners, large family meals, teas, parties, and receptions over the years. 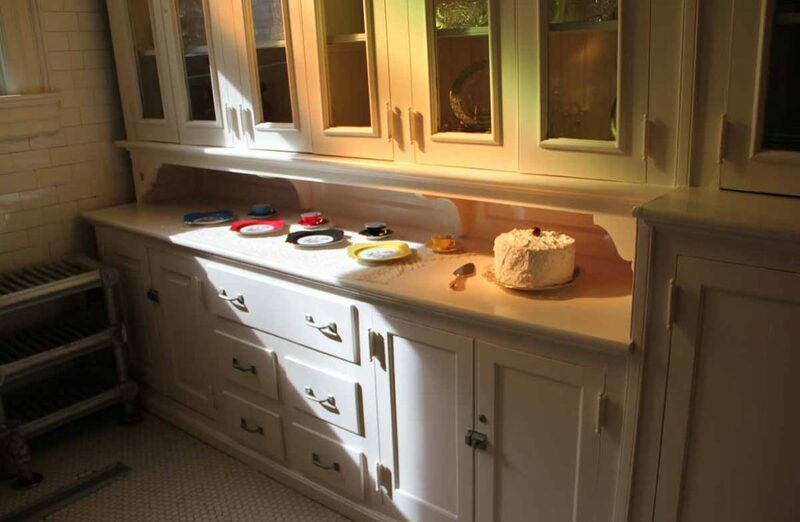 The butler's pantry was not a public space. It was designed with a streamlined style that was easy to clean. Domestic employees used this area to prepare for parties and entertaining. 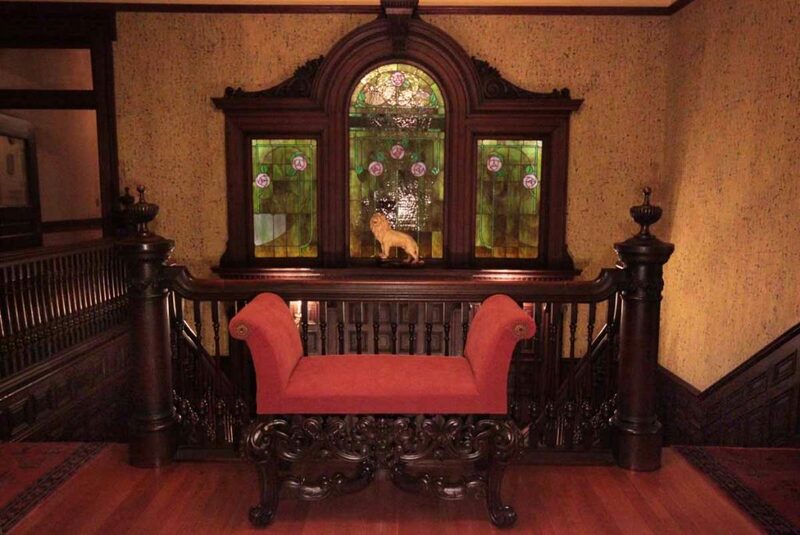 The McFaddins loved nature and the outdoors and added this stunning room in 1907 to reflect their tastes. 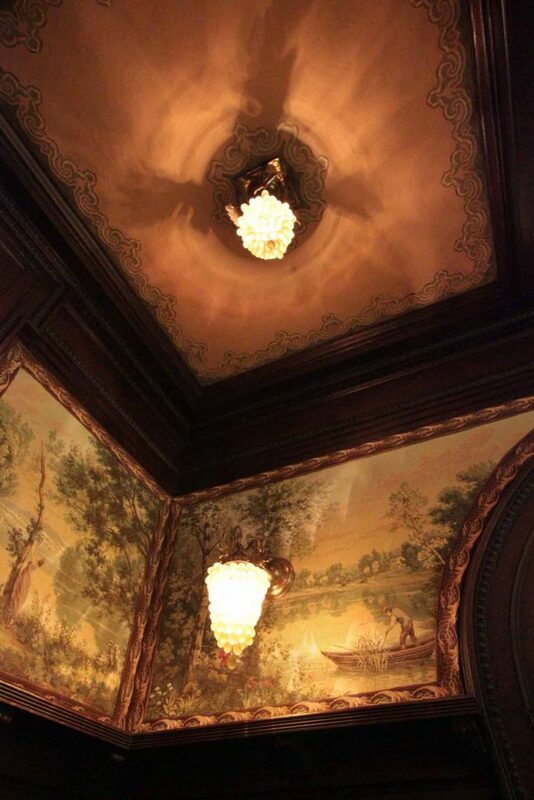 The many beautiful features of the room include the hand-stenciled canvas ceiling, the tapestry wall coverings, and the delicate grape chandeliers. 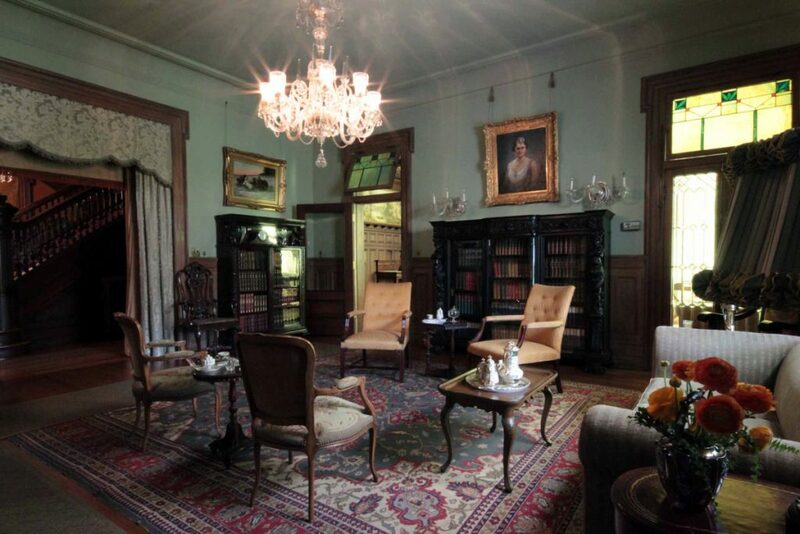 The library was a comfortable place for the McFaddins to relax or host sewing and bridge clubs and family gatherings. 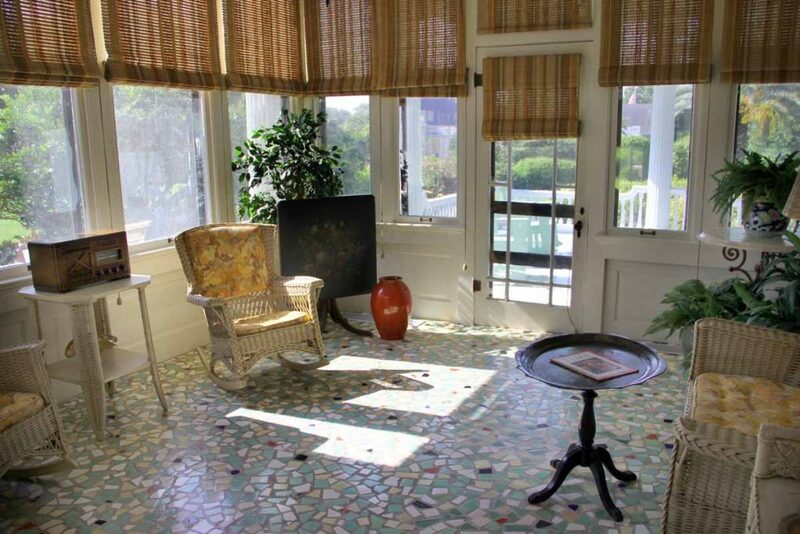 Added on in the 1920s, the sun porch became one of the family's favorite places for personal leisure and informal entertaining. 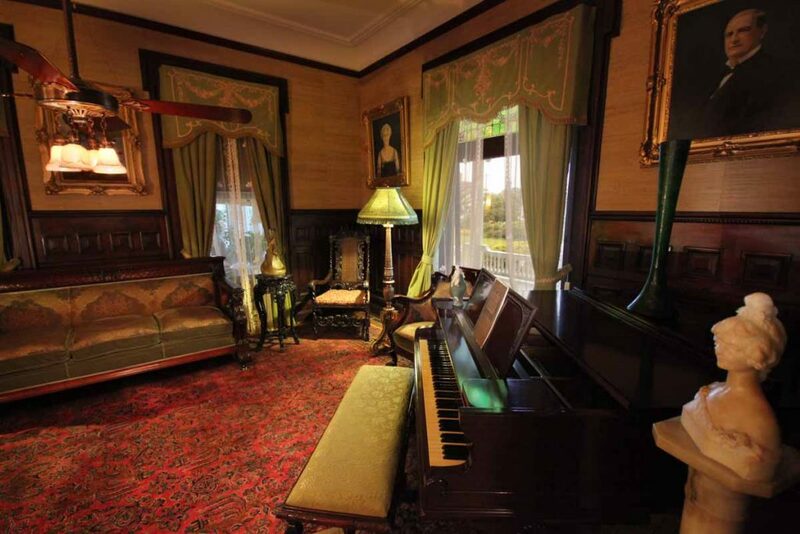 During the McFaddins' time, a music room was a pleasant luxury for a wealthy family's home. The Ivers and Pond grand piano, which dates to 1905, is still used to entertain guests at special museum events. 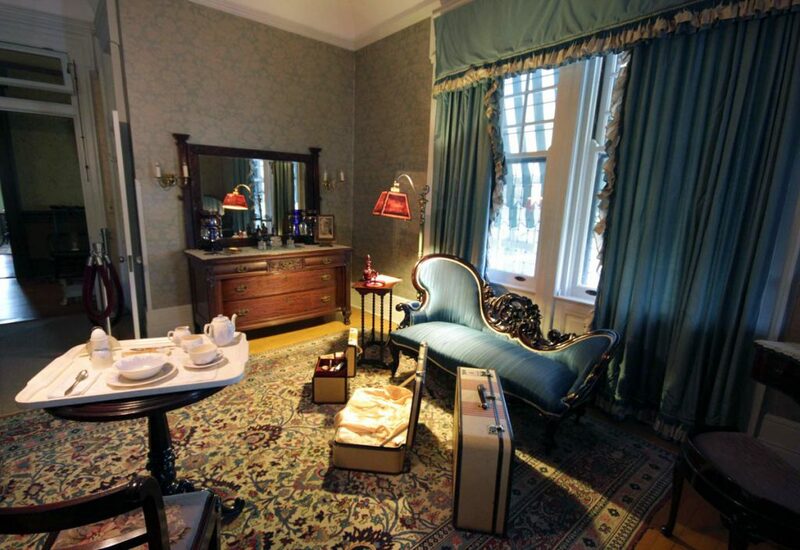 Ida McFaddin sat at this rococo revival dressing table to perform her daily beauty ritual. 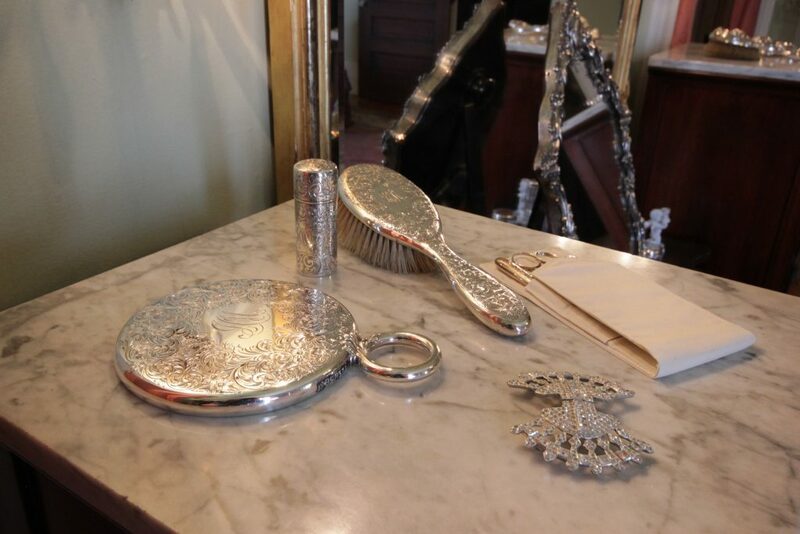 Everyday objects at the McFaddin home had style, even Ida's beauty accessories. These were made of fine silver and monogrammed. 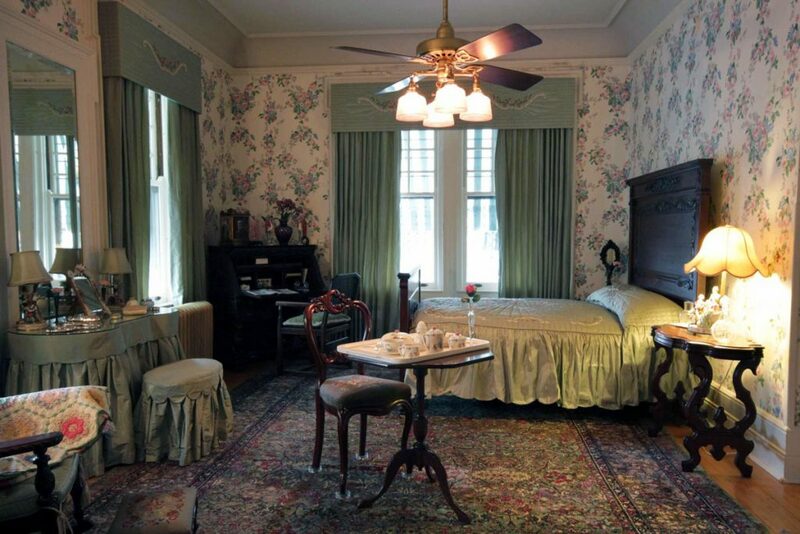 Mamie's childhood bedroom later became a special guest room for Ida's sister, Ouida. Ida pampered her sister during her visits, even at breakfast, by having a maid bring a tray to her room. Drop-front desk in the Green Bedroom. The McFaddins purchased this intricately-carved mahogany desk from Robert Mitchell in Cincinnati, Ohio, around 1900. 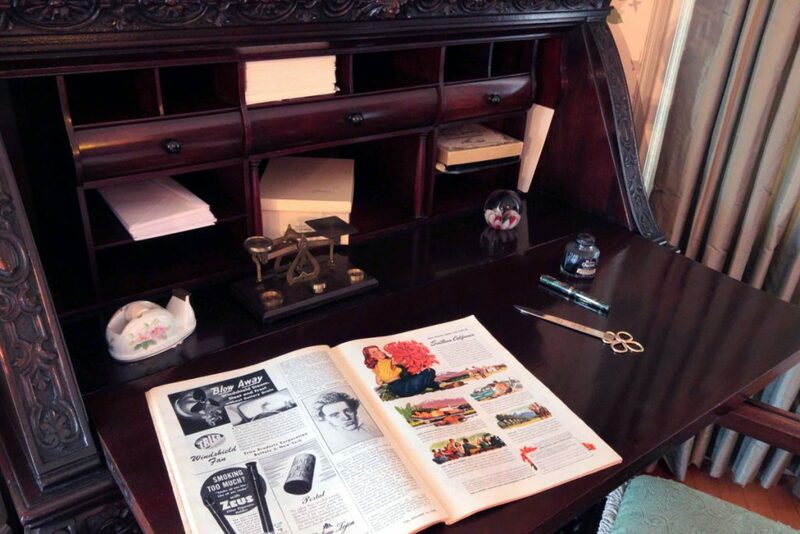 The desk provided an ideal space to catch up on correspondence or reading the latest issue of Life magazine. 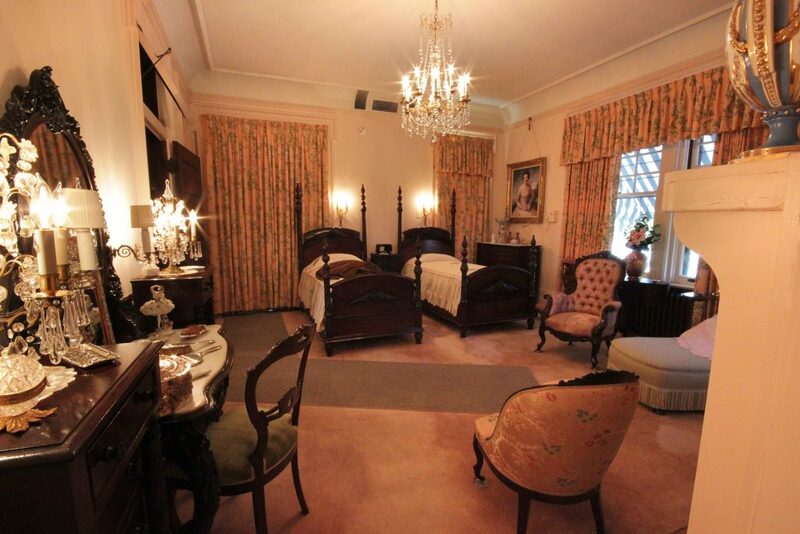 Over the years, many guests stayed in this room--always kept ready for visitors. 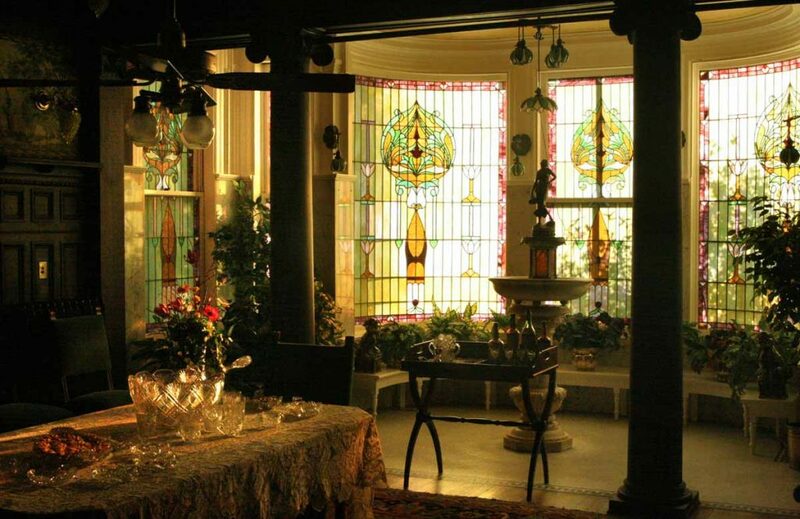 The McFaddins were known for their hospitality: guests were made to feel welcome with all the comforts of home. The guest room's accents coordinated perfectly. 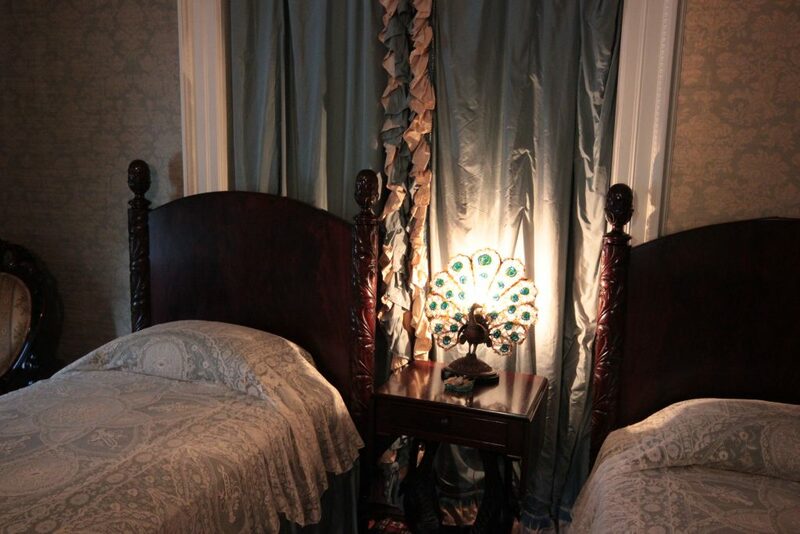 From the fine lace bedding to the fabulous peacock lamp, everything reflected Ida and Mamie's careful planning and exquisite taste. Though visible from the entrance hall, the palladian art glass windows are even more striking when viewed from the second floor hall. 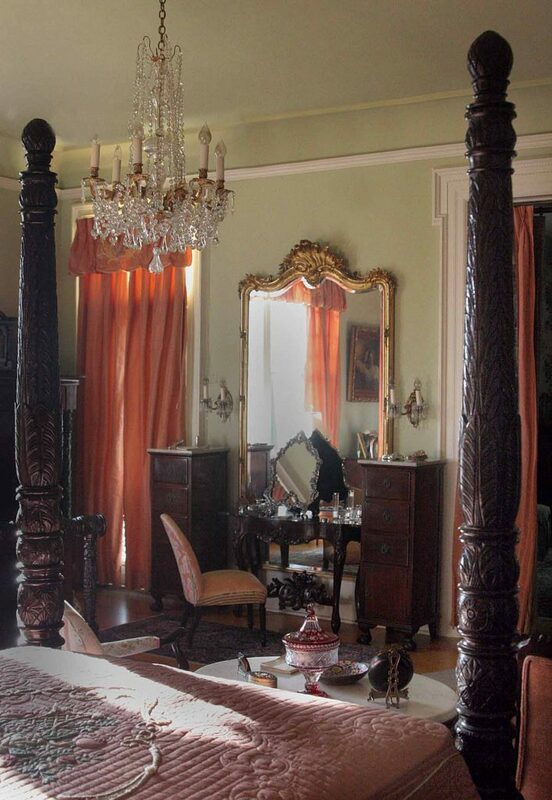 When Mamie and Carroll Ward married, they moved into this bedroom. Everything in Mamie's closet had its place. 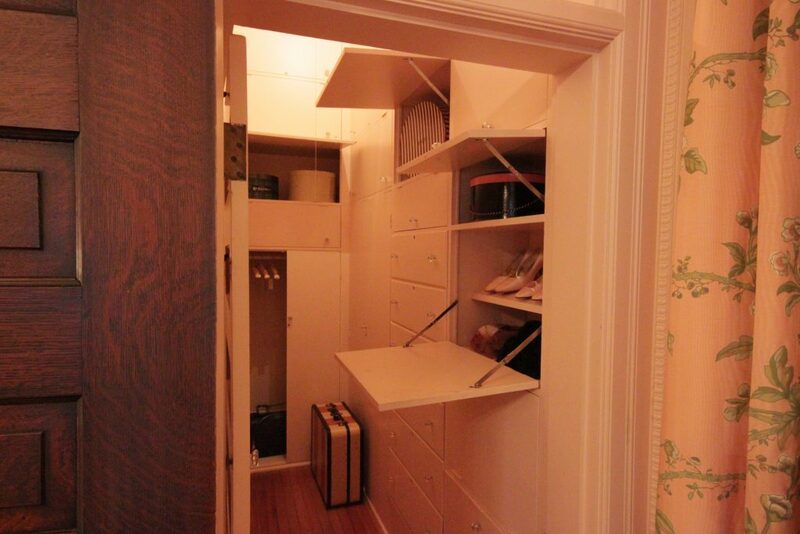 Hanging clothes, shoes, purses, and hats were stored away in special compartments. 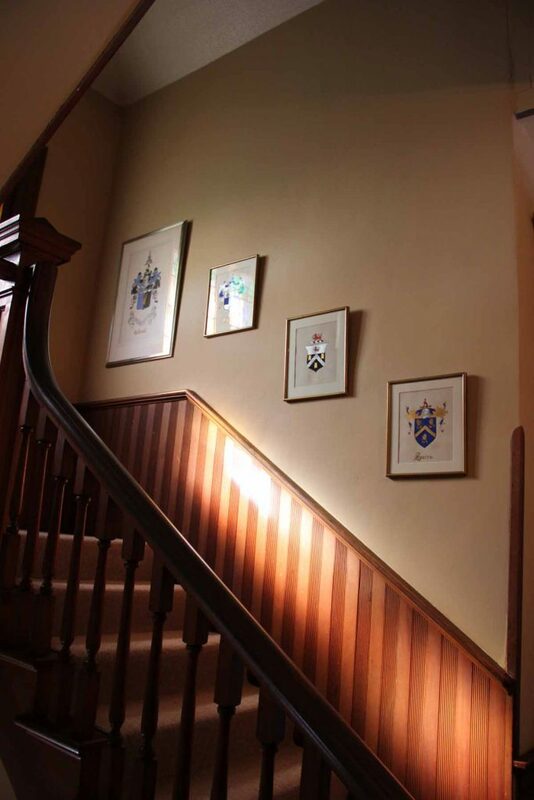 The stairway outside the North Bedroom features hand-painted family crests from Ida Caldwell McFaddin's lineage. Ida enjoyed researching her family's genealogy. 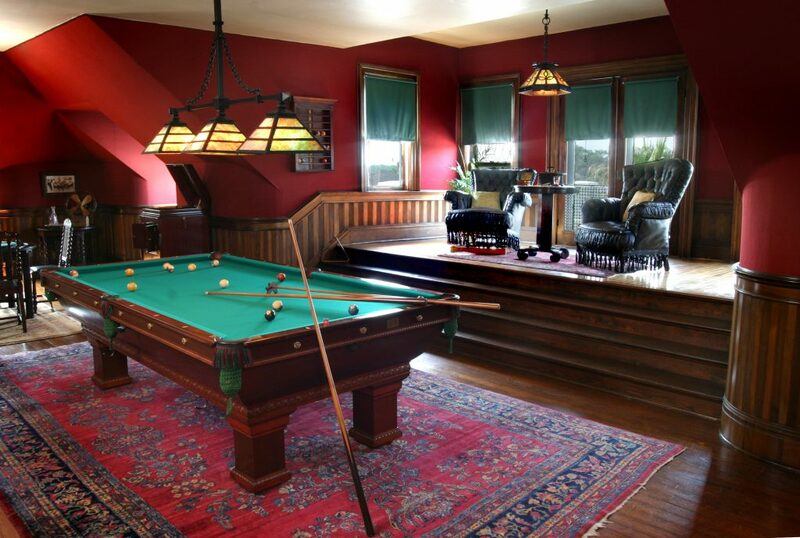 The third floor tour includes a pass through Perry, Jr. and Caldwell McFaddin's bedrooms, and the spectacular billiard room. The family enjoyed displaying its objects d'art. The piece in the center is a "Jack-in-the-Pulpit" vase said to have been a wedding gift to Mamie and Carroll Ward in 1919. The statue on the left is marble; on the right, bisque.